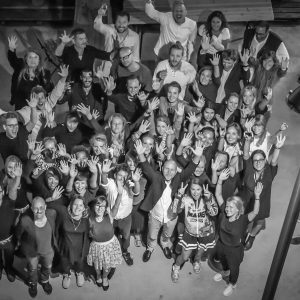 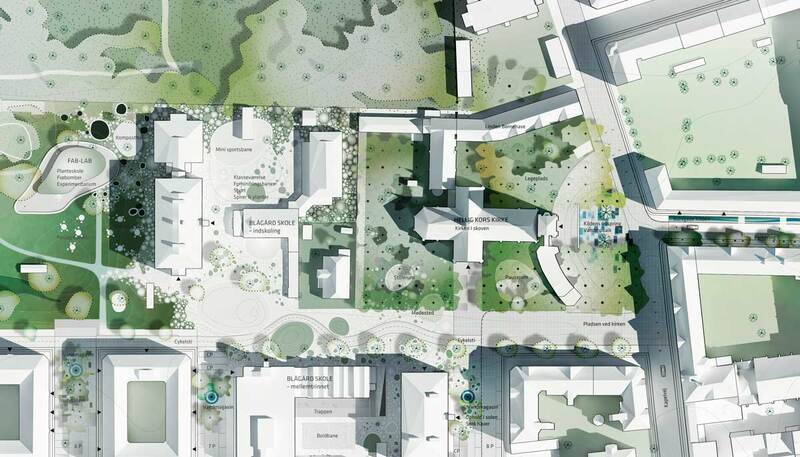 Thursday November 3rd, the winner of Scandinavia’s largest and most ambitious architecture competition regarding sustainable urban development, Nordic Built Cities Challenge, was announced. 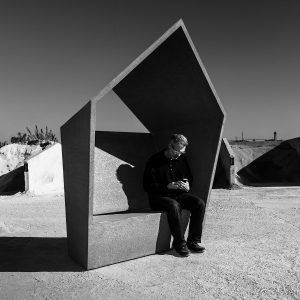 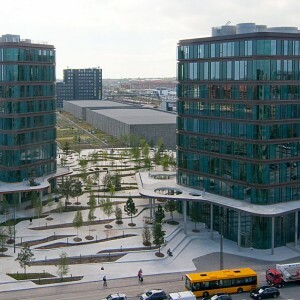 The winner is the Copenhagen architectural firm SLA and the project THE SOUL OF NØRREBRO in Inner Copenhagen. 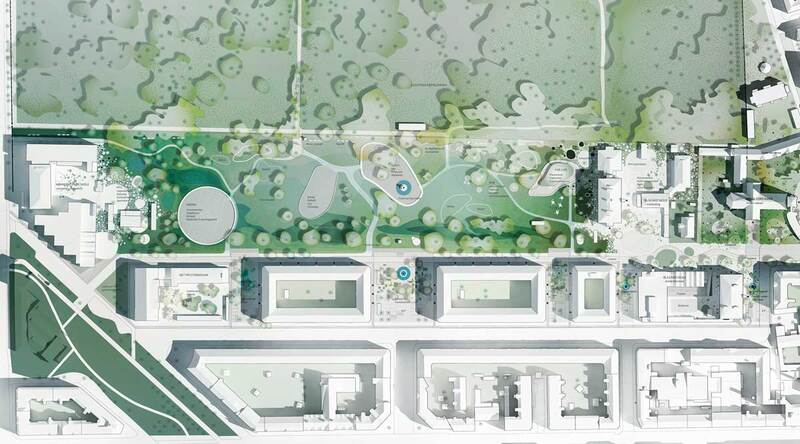 Beating out more than 145 entries from all six Nordic countries, SLA’s winning project shows how nature-based design solutions solve a wide range of urban challenges while creating new amenity values, cultural innovation and social communities in Copenhagen. 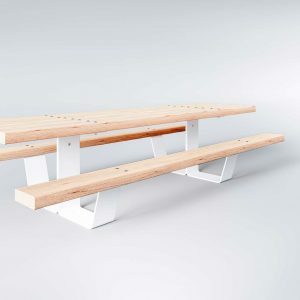 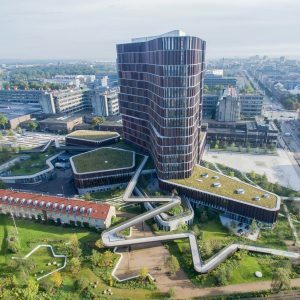 The project was designed by SLA as the head of an inter-Scandinavian team which also includes Ramboll (technical lead), Arki_Lab, Social Action, Gadeidræt, Aydin Soei and Saunders Architecture. 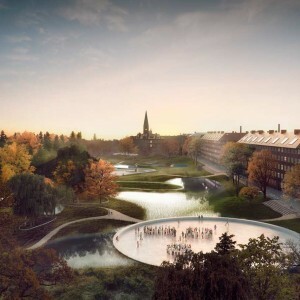 The project centers on the renewal and climate adaptation of Hans Tavsens Park and Korsgade in Inner Nørrebro in Copenhagen. 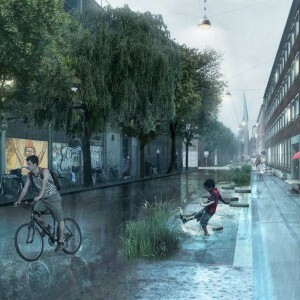 The 140 million DKK (20 million US Dollars) urban space project will be a flagship example of how cities can deal with cloudbursts in dense inner city neighborhoods while adding unique social, cultural and natural values to increase the life quality of its residents. 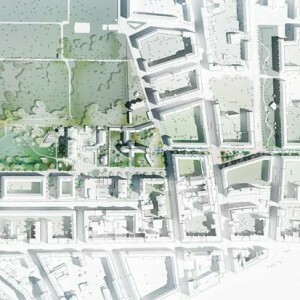 Team SLA’s winning proposal THE SOUL OF NØRREBRO uses nature-based climate adaptation solutions to create new hydrological, biological and social ecosystems for Inner Nørrebro, and builds upon Inner Nørrebro’s unique qualities and spirit – from the quiet beauty of Assistens Cemetery to the busy, urban life on Rantzausgade and Nørrebrogade. 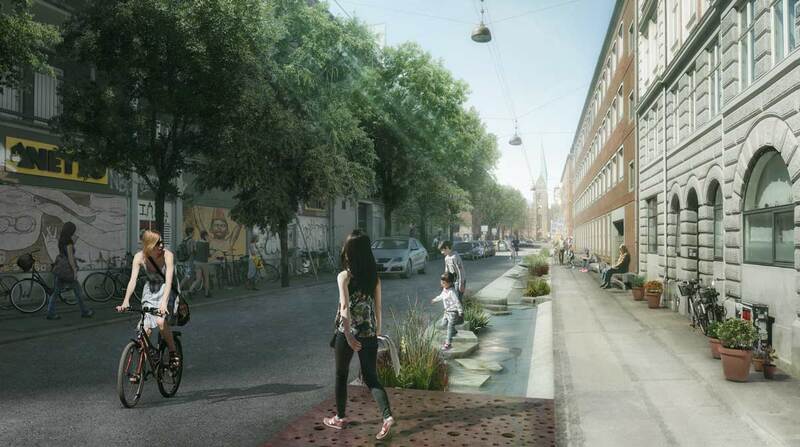 “The idea of our project, THE SOUL OF ​​NØRREBRO, is to create a project that improves the quality of life for the entire Inner Nørrebro. 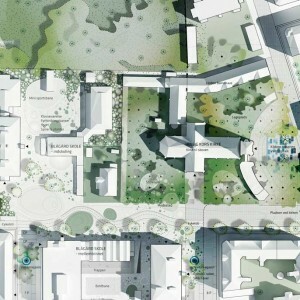 Our solution is based on creating a robust city nature that both solves the specific problem of handling torrential rain to avoid flooding, while at the same time creating a new and coherent series of urban spaces that offer stronger social community, greener and more natural experiences and new, creative opportunities for all Copenhageners,” says Stig L. Andersson, partner and design director of SLA. 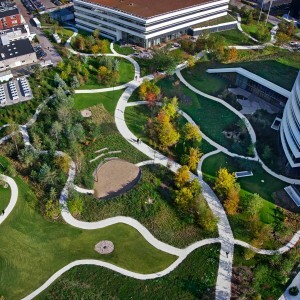 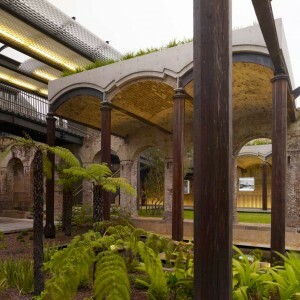 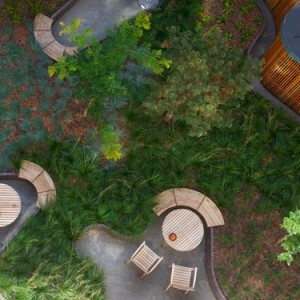 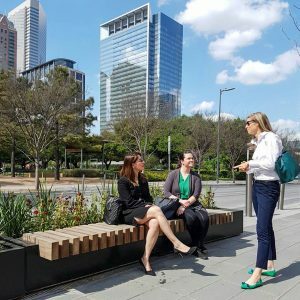 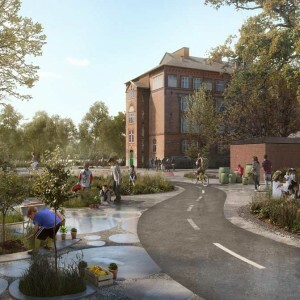 The result is an integrated urban design and climate adaptation project that through robust city nature averts flooding while creating a series of new, green urban spaces. 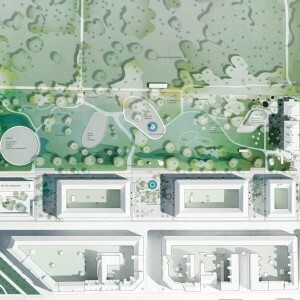 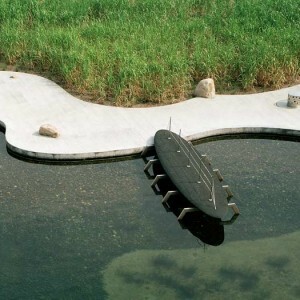 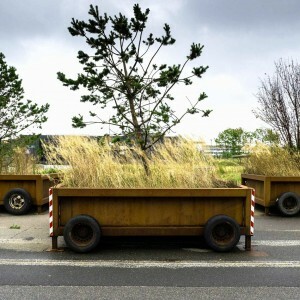 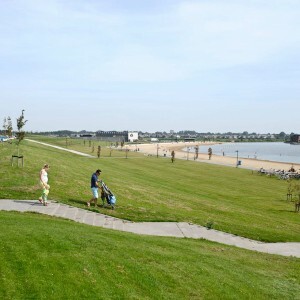 The project also finds innovative ways to include the local schools in the development of city nature, and introduces a new natural solution to use city nature biotopes to clean the water of the Copenhagen Lakes. 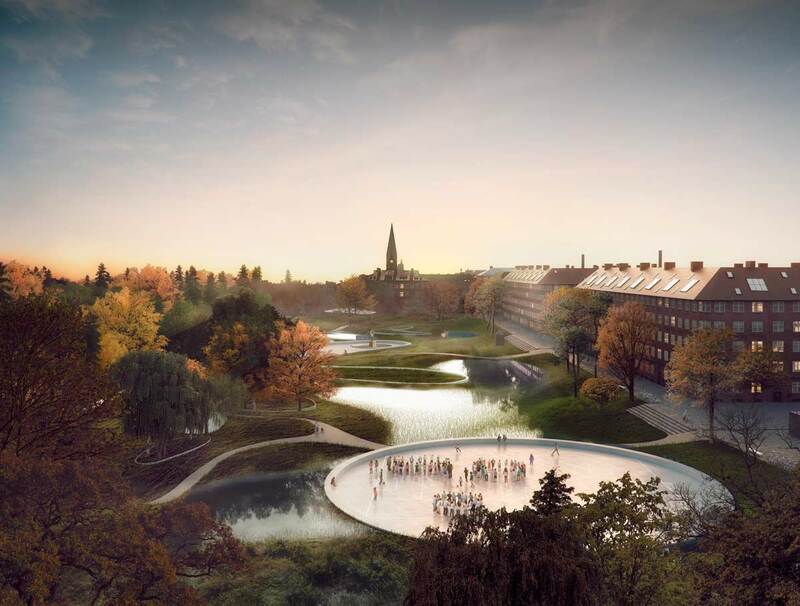 When Team SLA’s project is complete, Hans Tavsens Park will act as rainwater catchment basin during cloudbursts for the Inner Nørrebro neighborhood capable of handling up to 18.000 m3 of water at one time. 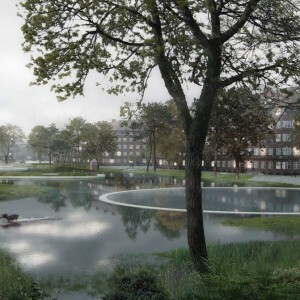 The excess rainwater will be led via Korsgade out into Peblinge Lake. 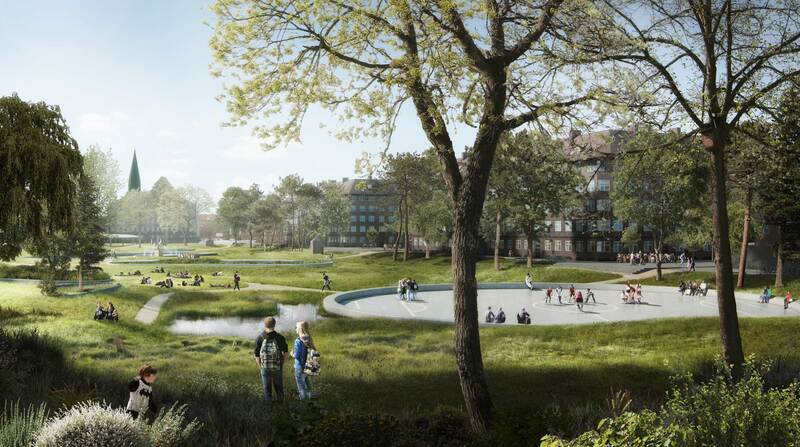 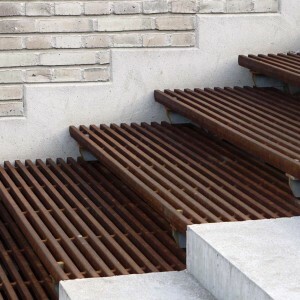 On the way, the water will be purified biologically by the city nature greenery that is established along Korsgade. 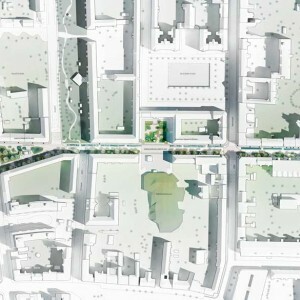 The water thus will be a visible feature in the cityscape while contributing to irrigation and improving the local microclimate on the hot, sunny side of the Korsgade street, creating a series of new, blue-green public spaces. 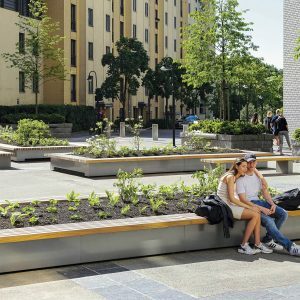 The project was designed in close dialogue with the area’s users and residents and facilitated by The Nørrebro Urban Renewal Authorities – a feature which was praised by the unanimous competition jury. 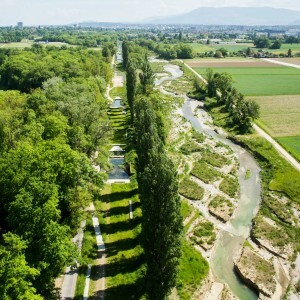 “It is exemplary how the project has included the local citizens to solve the challenge of cloudbursts. 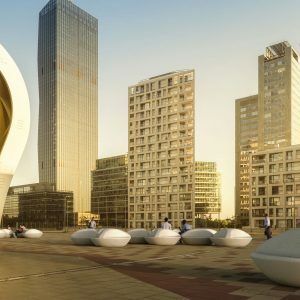 With the local input, which Team SLA has truly embraced in their proposal, we can create solutions that not only solve the current problems with cloudbursts, but at the same time will be a huge cultural and social benefit for the entire community. 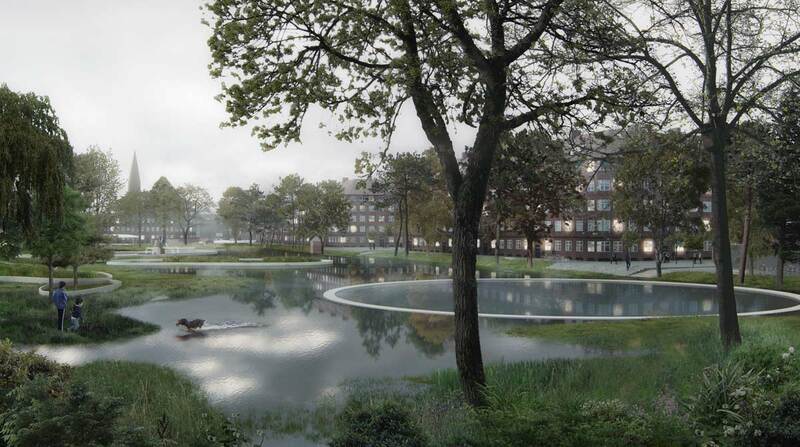 This is the kind of solutions that are really usable, and it’s also the kind of solutions the rest of the world will be coming to Copenhagen to observe”, says Morten Kabell, Technical and Environmental Mayor of Copenhagen. 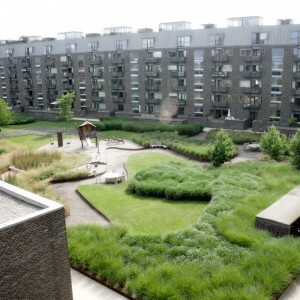 The project has required great local knowledge combined with architectural and technical solutions with a global potential. 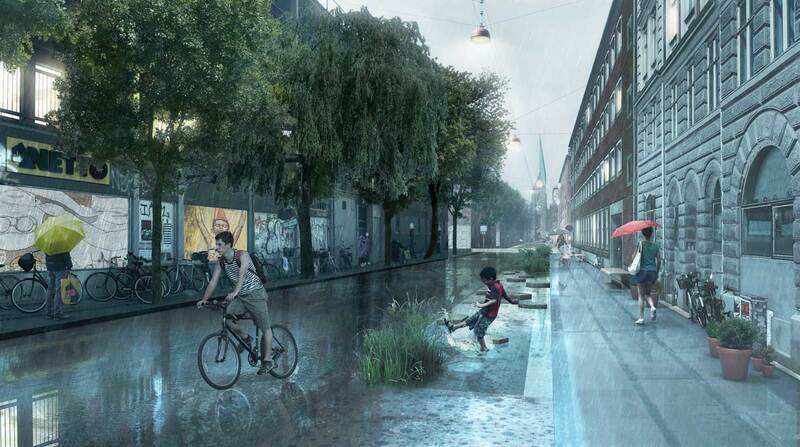 Both in the handling of cloud burst and in the biological cleansing of rain and lake water. 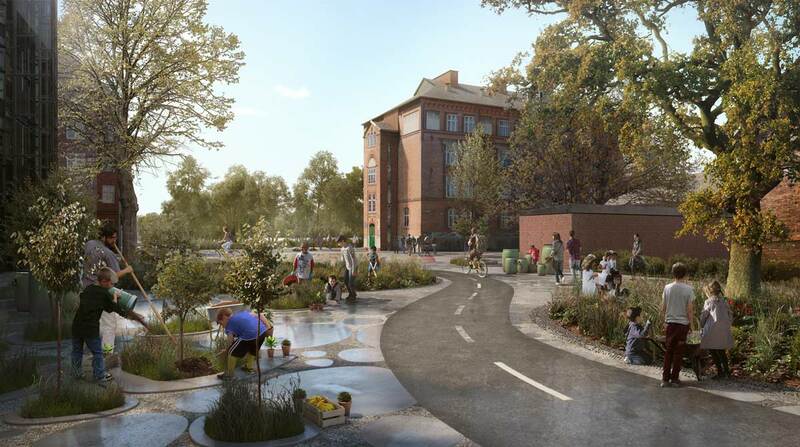 “This project in Nørrebro will be an international beacon for climate adaptation in cities, because it brings together the right technical and social aspects, and at the same time provides an innovative solution by focusing on improving water quality in the Copenhagen Lakes,” says Christian Nyerup Nielsen, Director, Climate Adaptation & Flood-Risk Management in Ramboll. 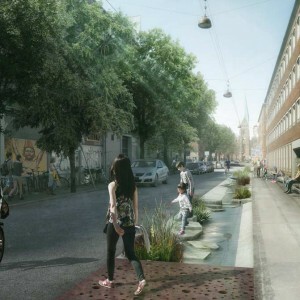 According to plan, THE SOUL OF ​​NØRREBRO will start construction in 2019 and will be finished in 2022.